Add Appliances Online to your favourites! 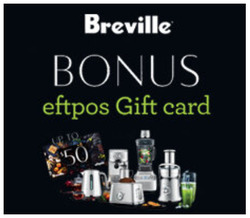 Purchase a selected Breville Luxe Appliance, between 01/04/19 and 02/06/19 (inclusive), and be eligible to claim up to a $50 Eftpos Gift Card! Payment must be made in full during the promotional period. 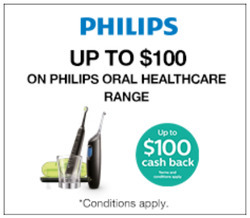 Purchase selected Philips Personal Care products during the promotional period and receive up to $100 cash back. The Promotion commences at 09.00am AEST on 05 April 2019 and ends 11:59pm AEST on 12 May 2019 (“Promotional Period”). Payment must be made in full during the promotional period. Purchase selected Philips Garment Care Appliances during the promotional period and receive $100 cash back. The Promotion commences at 09.00am AEST on 05 April 2019 and ends 11:59pm AEST on 12 May 2019 (“Promotional Period”). Payment must be made in full during the promotional period. Appliances Online is an online shop which sells electric appliances for homes all over Australia. 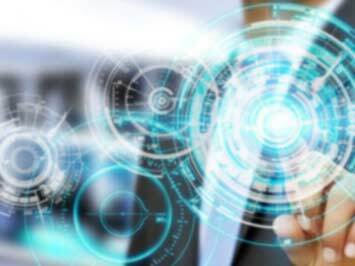 The company sells washers, dryers, fridges, dishwashers, over and cooking appliances, heating and cooling devices and daily use small appliances. The free delivery, fast turnaround, 24hour a day, 7 days a week call centre and the varied selection of products have made Appliances Online one of the most successful stores in the niche. The shop features a clearance and a bundle package sections where clients can obtain great deals for their purchases. Regularly, there are discounts and promotions in different categories. Coupon codes are also available for extra price reductions. The Hot Offers section contains some of the best appliance offers on the market, with discounts which go up to 50% of the RRP. Appliances Online is an online appliance retailer established in 2005. Appliances Online collects, removes and recycles old and used appliances at no extra cost. Thousands of customers save money by opting for price match challenge offered by Appliances Online. Do you want to receive more offers from Appliances Online by email?